Annie Jaffrey: My Skincare Routine! Thank you for these videos Annie!! I got the maca supplements you recommended in the previous video, and that plus the zinc has really helped so much! I really appreciate you trying to help all of us with this :) Love you and your videos! - Morning: La Roche Posay Purifying Foaming Gel and Moreish Reawaken Eye Cream. I'm using at the moment the Estee Lauder DayWear moisturizer. I find it very difficult to find a good moisturizer that doesn't flake my foundation or BB cream. I've tried so many. I would like to try the La Roche Posay moisturizer but I'm having trouble finding it. I also want to make a special mention to the Complexion Collection — Skin Perfecting Brush by Ecotools. This brush is just AMAZING for applying BB Cream and moisturizer. - Evening: I use the Clearisonic with the La Roche Posay Purifying Foaming Gel. After that I moisturize with La Roche-Posay Effaclar Duo. Honestly Annie, the foaming gel and Duo is amazing. I use the Mario Badescu Drying Lotion for a spot treatment. If I feel that I need a boost in moisture I use the Moreish Night Cream with a drop of 100% Argan Oil. Laura Mercier Tinted Moisturizer - (Oil Free), probably the most underrated product. This stuff glides so beautifully onto the skin, it really makes it look like its my actual skin. I also recently picked up the Dr Dennis Gross alpha beta peel (5 treatments) to try it out. It lived up to its hype, definitely repurchasing. Can you use any type of zinc supplement? Hi Annie, nice video. I never heard of zinc to be used on face. Thanks for sharing this. Dermology anti aging treatment for aging skin. 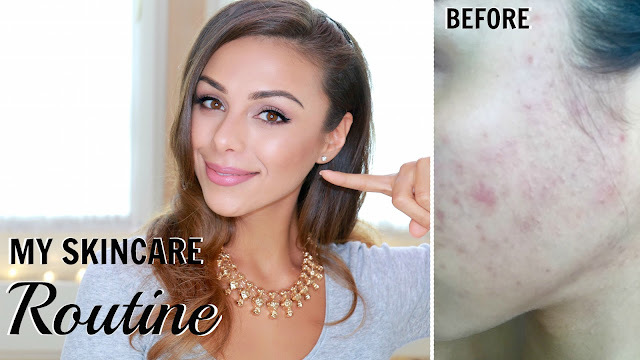 Amazing video and a great skin care routine. In order to maximize the benefits of the products they should be applied in a definite order. Recently I have added cream by lifecell in my skin care routine and the results are great. I did not know that we can even use zinc on our face, I will definitely add it up to my routine. Great video, Thank you very much ! !